If you are looking to spruce up your furniture or any wooded area, our varnishes and wood preservers are perfect for the job. With products for interior and exterior furniture, we have everything you need to protect and enhance wood around your home. 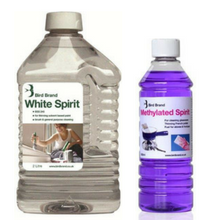 When finished with your project, we have a range of spirits, to help clean the area and any tools used. Our range of spirits can be used for different purposes. We have spirits that clean brushes, thin paints and polishes, prepare surfaces, and clean up wet paint spills from surfaces. Spirits are a great multi-use product, that is needed in every DIY-ers home! 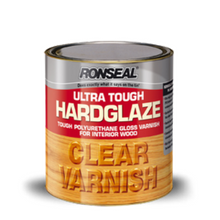 Our range of varnishes come from Ronseal. We have everything you need to protect wooden products. Whether it is interior or exterior, we have varnishes for both. This is a great way to highlight the beauty of your furniture, as well as protecting it from scrapes and scuffs. Wood Preservers are great if you need some outdoor protection for your fences and sheds. 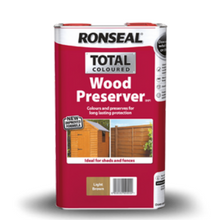 We have a range of stock from Ronseal, that will protect your outdoor area from rot, decay and the weather!